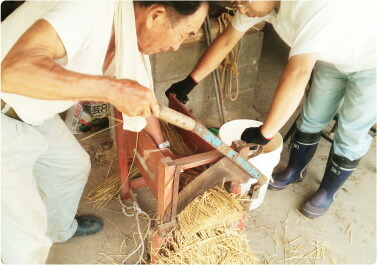 It is the workman was born and raised in rural Kagawa Prefecture town, Swan must Abe, making rice straw. 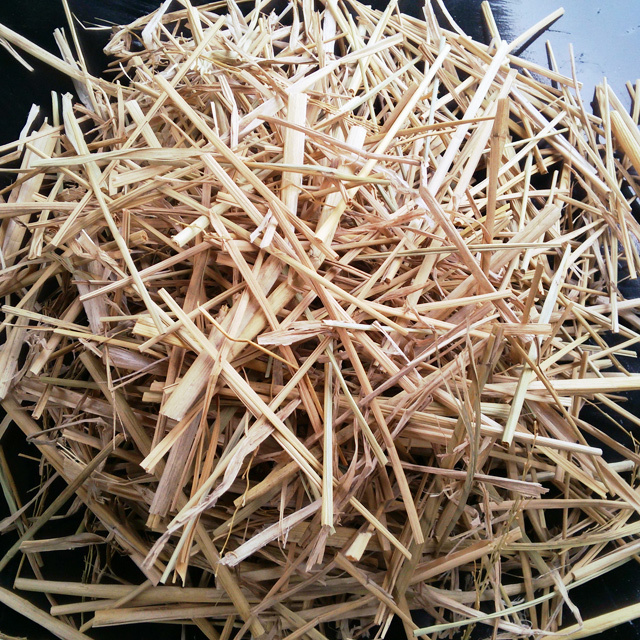 Because it is of course a chemical-free rice straw is "safe and secure". 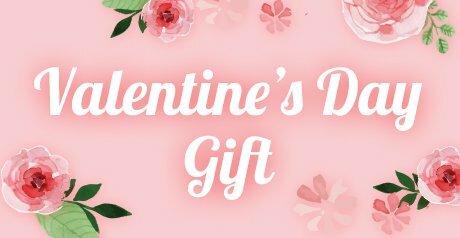 1Prevents drying of the soil. 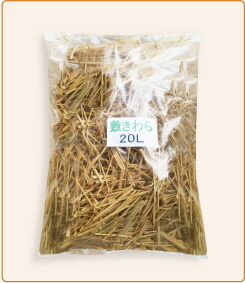 2Summer winter reduces the effect of the rise in soil temperature. 3Rain reduced wings, it makes it difficult to disease. 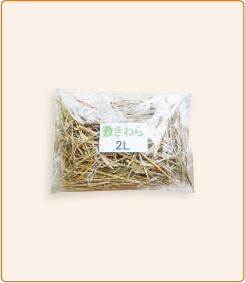 4Protect the crops from the cold weather of winter frost and cold winds. 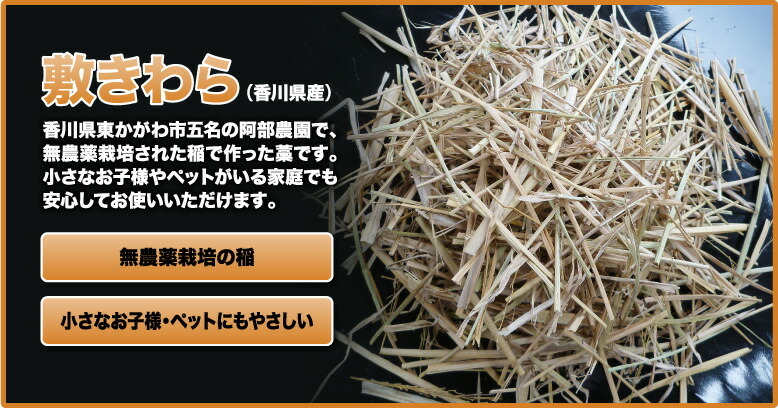 6Prevents the leaching of fertilizers. 7Broken and mix into the soil after use, compost safe and secure. 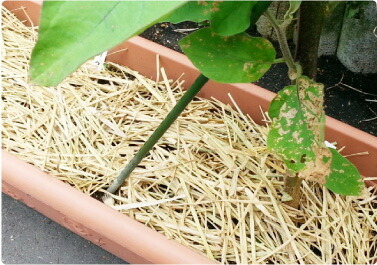 Bedding straw protects fruits and vegetables carefully. 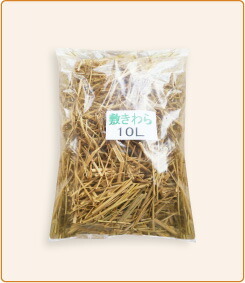 Straw has been used every plant vegetables and fruit trees, such as all-purpose natural mulching as old. Difficult to grow grass, protects against erosion due to rain. Also summer avoid direct sunlight and prevents evaporation of the rise in temperature, moisture, winter will be in the vehicle. Paving straw of Canea, Kagawa Prefecture, East is done is a city must Abe farm straw. 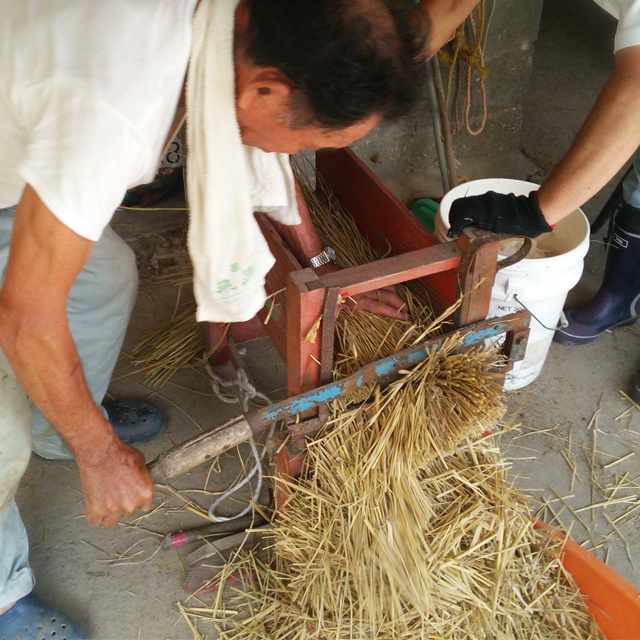 Cherish the traditional methods, without machinery, dried straw is cut by hand. Families with small children and pets the rice straw are grown pesticide-free, so need to worry. One by one by hand made care bedding straw smell of the Sun. 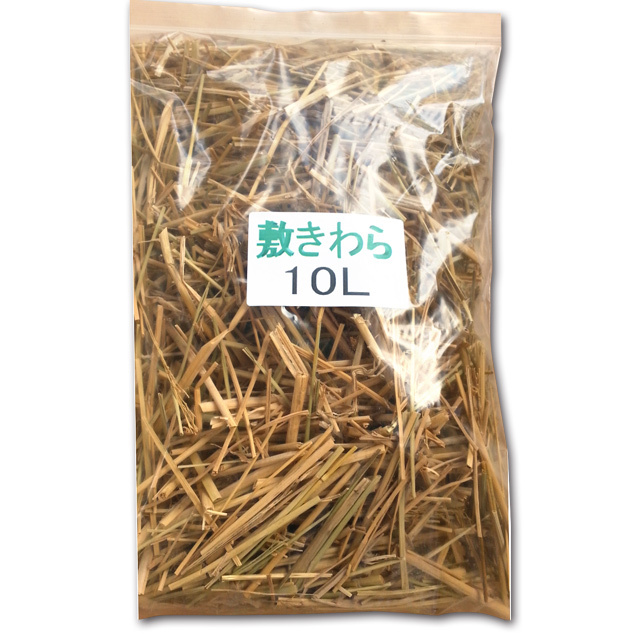 Our litter, Kagawa Prefecture, East is done is Mr. Abe said that five of the city where, in more than 60 years, pesticide-free organic rice you have straw. Grew up in was born in five in five without-I and Abe's five with rice and rice that people eat sweet and dough of staff happy. After harvesting, natural sun light to give plenty of Sun. Straw making Martin a nearby livestock farms, cattle food. And standing milking this cow's milk is delicious it is I too sometimes, but cannot be expressed in words. Abe's litter is a hearty affection for Martin rice. 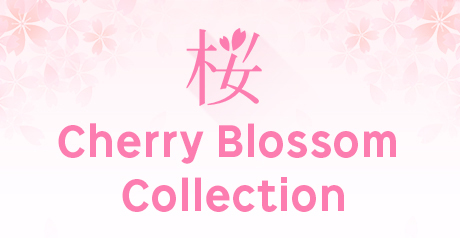 Your peace of mind, please use.